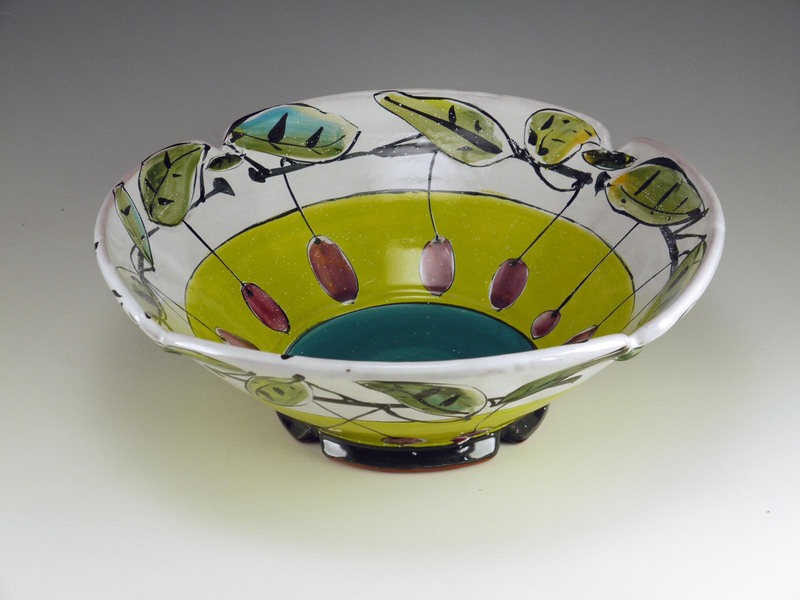 At the recent workshop at Peters Valley Craft Center, there were comments from some participants that they hadn’t often thought about design when it came to putting surface on pots. 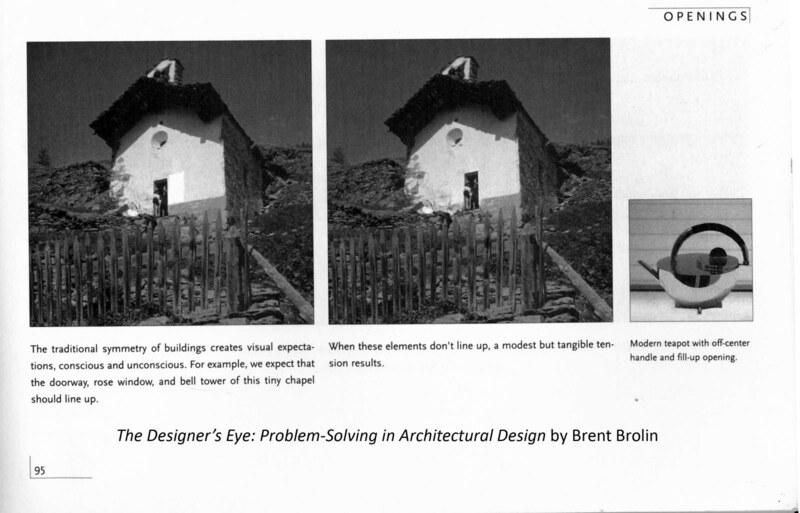 One of my favorite books for looking and thinking about design changes is architect Brent Brolin’s small book The Designer’s Eye: Problem-Solving in Architectural Design. Mr. Brolin has also written the excellent Flight of Fancy: the Banishment and Return of Ornament, which was re-published under a title I felt less useful: Architectural Ornament: Banishment and Return. It’s a great book about ornament, not just buildings. As a fun fact, Mr. Brolin’s mother-in-law was Eva Zeisel, the remarkable designer. Excerpt from The Designer’s Eye by Brent Brolin showing the effect of off-centering the doorway. The Designer’s Eye would not have been possible before digital image manipulation. A building detail is shown in 2 different versions, and a brief comment below remarks on how the change influences the way the building is seen. This is from a section on openings, and he conveniently shows another example of a teapot with an asymmetric opening. Basically, it’s a picture book with comments. The comments are often observational, rather than judgemental: not THIS IS THE RIGHT WAY, but that A gives a different visual effect than B, and you can see what works best for your own design goals. A way to practice visual sensitivity; good for your own works and for looking at other’s works for critique. Brilliant. Someone should do design make-overs with pottery. Click the image below to go to Amazon and pick up a copy if this interests you. Inexpensive used copies available when I looked. I think it’s a great look book. The web site is the 21st-century’s business card. 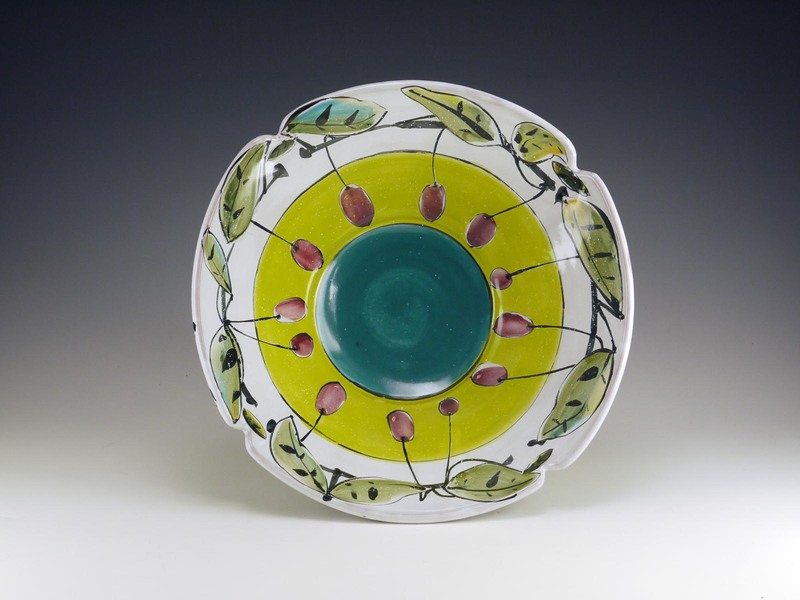 UF Ceramics MFA alumnus Chris Pickett has a snappy new web site designed by UF Graphic Design student Marisa Falcigno. 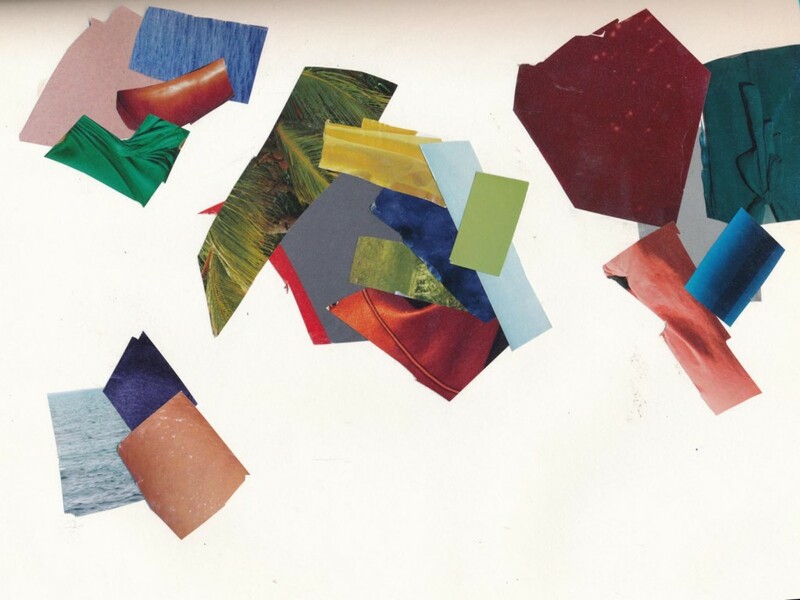 Marisa worked as a graphic designer before deciding to return to school for MFA study. She’s been a great consultant and designer for many people affiliated with Ceramics, and assisted Masters Art Education alum Jeni Hansen with her K-12 ceramics resource site for teachers, Oh Happy Clay! Chris’s new site includes a fun process page that shows how Chris handbuilds his work using drop molds made from foam insulation. It’s a variation on forming slabs that uses shallow cut-outs to slump soft slabs into curved forms. I’ve seen people use plywood forms, but the stiff foam insulation sheets are easy to cut and light-weight. It’s a flexible method of adding volume in shapes to slab-building. Ceramics Monthly had a nice article about Chris’s methods in Dec. 2011. 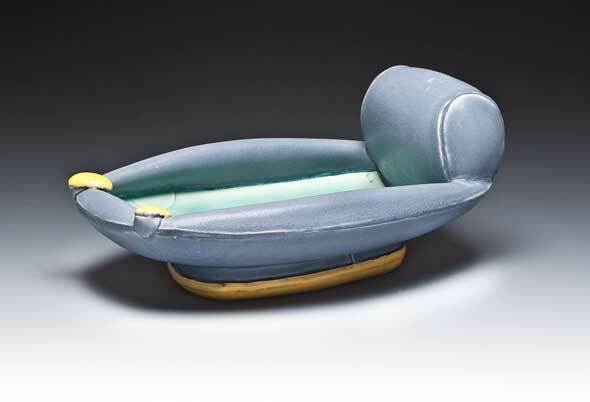 Chris is inspired by inflatable toys, mid-20th century modern furniture designers, and the seduction of touch. 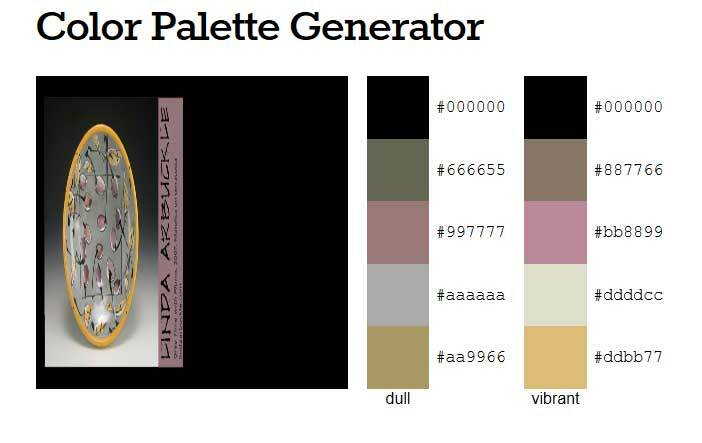 There are sites online where you can give the URL of an image, and it will deconstruct it into a palette. On Color Hunter it’s similar: put a URL or upload an image, and it gives you the palette and the hexidecimal color numbers for web use. Behr Paint has a website that helps you find your color combinations. Color Schemer’s website helps you work from digital color to develop a palette of colors, and gives you some colors to go with your choice as well as letting you lighten or darken your palette. Color gives emotional tone and interest to our visual world. Color can be indulgent, luscious. Many companies that deal with color do or subscribe to color forecasting and use color stories to shape a concept around a palette. Color services make a business out of selling subscriptions to color forecasting. Lenzing manufactures fibers, and deals with color. The have free trend forecasts. Their Fall 2013/Winter 2014 forecasts are here. To make with your hands; craft, handmade, artisan and all derivates … along with creativity going from designer-artisan to digital-craft; the user sensing the affection the maker put in making an object. Does mass customizing develop different identities by proposing 613 types of socks, wanting to match everybody … when is more too much? To create smart engineered designs; incredibly inventive thinking out- of-the-box is unfolded to find ways out of the huge challenges of the present … and of the future. To be responsible as producer and supplier is an unavoidable claim from the user.The consumer demands that pleasure links to responsibility, that grandeur and beauty is not the opposite to liability. Everybody takes on ones shoulders to make the sensible choice innumerable times in everyday-life … the consumer-driven community is pace setting. This is how we conceive all this to be, on the fashion scene, through our themes: ELITIST, MAJESTIC, SYNTHETIC, EDIBLE and STORM. Go to their web site to see more about how they interpret Elitist, Majestic, Synthetic, Edible, and Storm. I love the rhetoric that goes with the forecast. Some are waaaay over the top and not linked to the visuals, but most are a fun way of making choices and organizing them into a coherent group. because they are cheap eye candy and give me a lot of material for what a certain zeitgetist has going on, and great resources for color development. It’s hard to make time to do this in a busy day, but it’s worth “playing” now and then to research. Look at colors that catch your eye, or think of your own color story word and go from there. In magazines, color is surrounded by other color and image and often reads differently in context than as a swatch. It’s an interesting exercise to remove color from image and adjacent color, and see how you perceive the hue. Move the colors around into groups, and think about what’s next to what, and relative amounts – it’s all important in how a color palette works. When you’re happy, glue them down on paper. THEN, cut a small window out of a blank white paper, and use this as a “finder” to vignette your compositions and further refine the proportions that look good to you.